Don’t you just hate it when you just bought a delicious ice cream cone only to see it dripping before your very eyes just 30 seconds after it came out of the freezer? Well, science to the rescue. 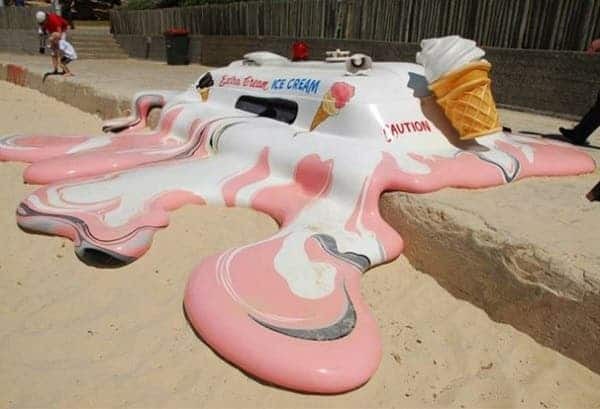 A group at Universities of Dundee and Edinburgh mixed a naturally occurring protein with ice cream and found this took significantly longer to melt in the sun. Additionally, because it’s a substitute for the various fat molecules used in the industry to stabilize the water and the oil found in cream cream, the added protein makes ice cream healthier. The protein in cause, called BsIA, is found in so-called “friendly” bacteria – the kind that makes up our internal microbiome. It’s essentially a natural stabilizer since it binds air and water bubbles together. It’s so good that even at high temperatures – for ice that is – the ice cream takes longer to melt. Additionally, the protein also changes the texture of the ice cream, for the better. It doesn’t allow that many ice crystals to form and easily makes ice cream cups smooth. “It has been fun working on the applied use of a protein that was initially identified due to its practical purpose in bacteria,” Dr Nicola Stanley-Wall, a molecular microbiologist from Dundee University, said. For the industry, it might be a game changer: it lasts longer, saves energy because it can be stored at higher temperatures and makes it more commercially appealing due to its texture. For consumers, well, everybody gets to have ice cream that doesn’t melt in a jiffy! As for science, this applied research is an interesting demonstration of how molecular biology can be used to enrich our lives.